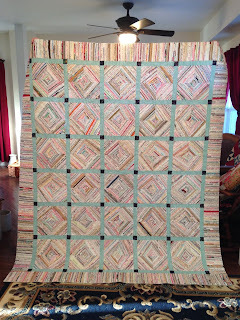 I was privileged to be able to quilt an awesome quilt recently. 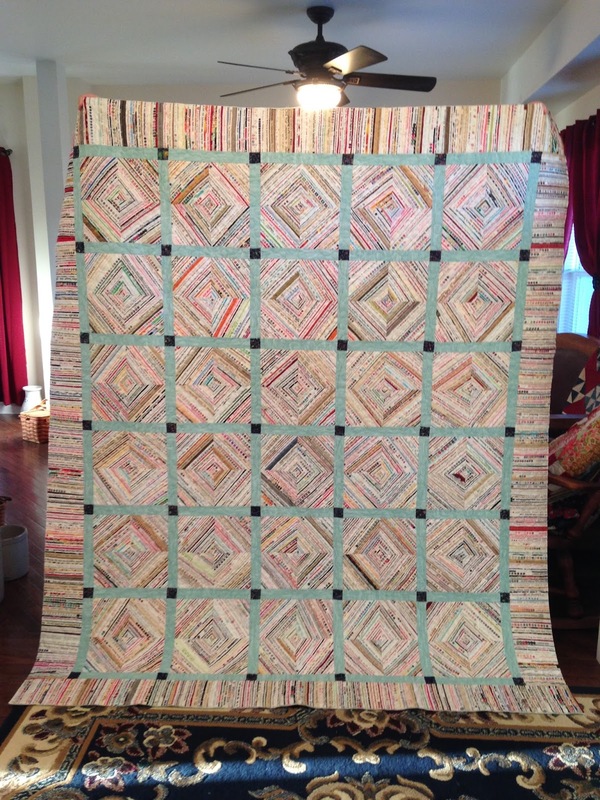 It's a Selvage Quilt and it's just pretty darn cool. Even William was impressed with it (and that doesn't happen too often). 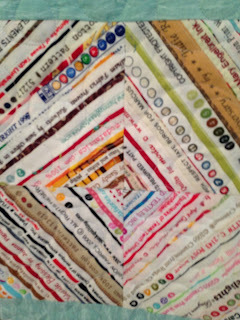 My customer Ruby made it. 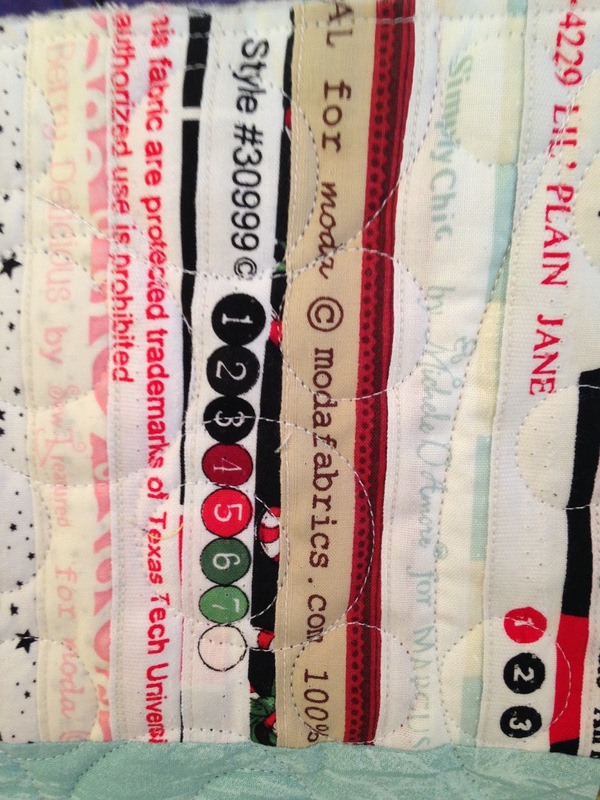 Ruby is notorious for her string quilts anyway. In fact, this is the second selvage quilt Ruby has made. 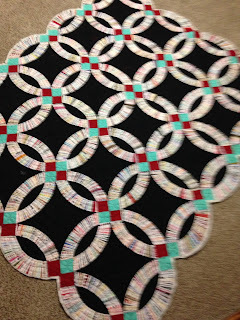 I quilted a pattern called Circle Meander by Wasatch Quilting and used Glide White quilting thread. 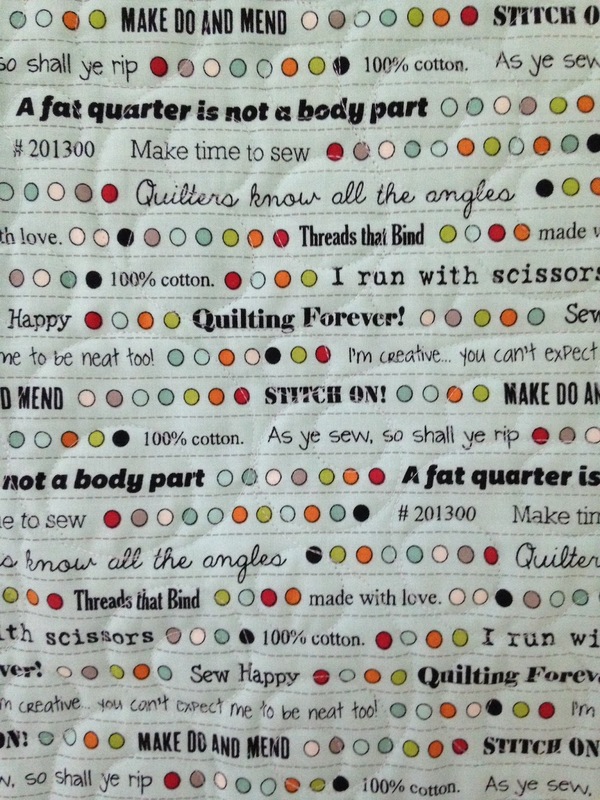 I love the fabric she picked for her backing too. 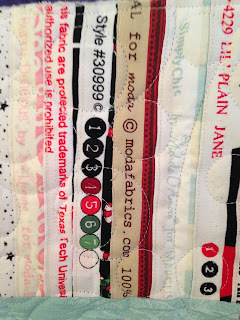 I'm not usually too fussy about the backing of a quilt and it doesn't usually have to be too matchy, matchy for me. 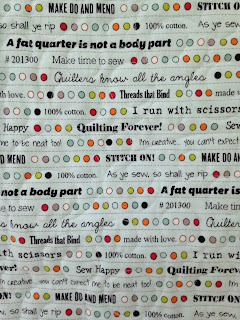 However, I would have been just like Ruby, this fabric would have been calling my name for the back of this Selvage Quilt. It's just too fun! 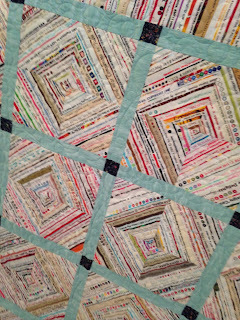 You might also remember the other selvage quilt she made. It was a double wedding ring quilt. You can read about it here. 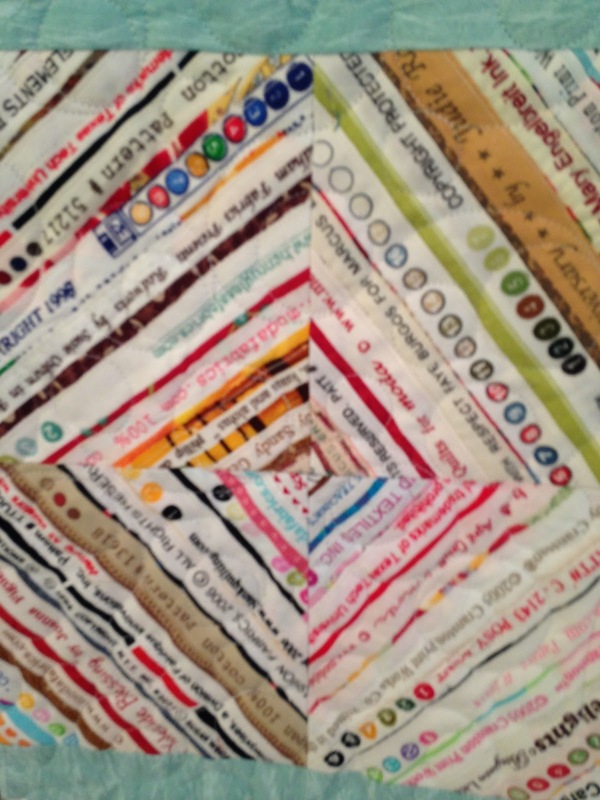 Someday, maybe someday, I'll grow up to be a string quilter like Ruby and make myself a Selvage Quilt too!